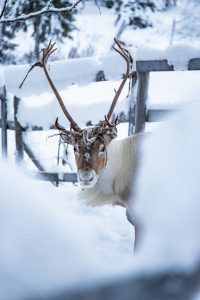 The reindeer (Rangifer tarandus tarandus) is a half-mite animal that has adapted to very arctic conditions. During the summer, the reindeer of Tankavaara wander freely and they return in the early winter back to us. The same reindeer have been in our yard for many winters already. They have come to us from a very young age, and accustomed to winter feeding. We have taken care of them and they no longer necessarily can find the food under the snow over the winter so well. The reindeer has adapted well to winter conditions, since the coat cover hairs are hollow and therefore very well insulated. 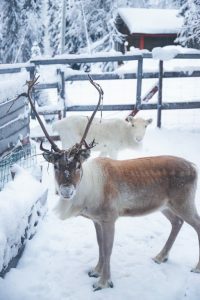 In the reindeer feet, there is a very effective blood circulation and within the bone, oil acid that functions like antifreeze – so the reindeer feet stay warm. What does a reindeer eat? In the winter time, reindeer digs lichen, sparrows and wavy hair-grass from under the snow. When the snow cover thickens and it is difficult to dig out the food underneath the snow, they also eat lichen growing on trees. 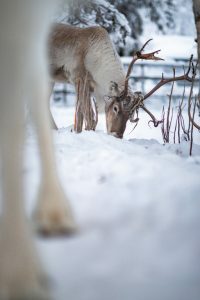 The reindeer has extremely keen scent; it can sense lichen from under a meter thick snow cover. You can buy a bag of lichen from us to feed it for reindeer yourself. Reindeer herds are born in the spring, May to June. You may have heard of a movie about Ailo reindeer? 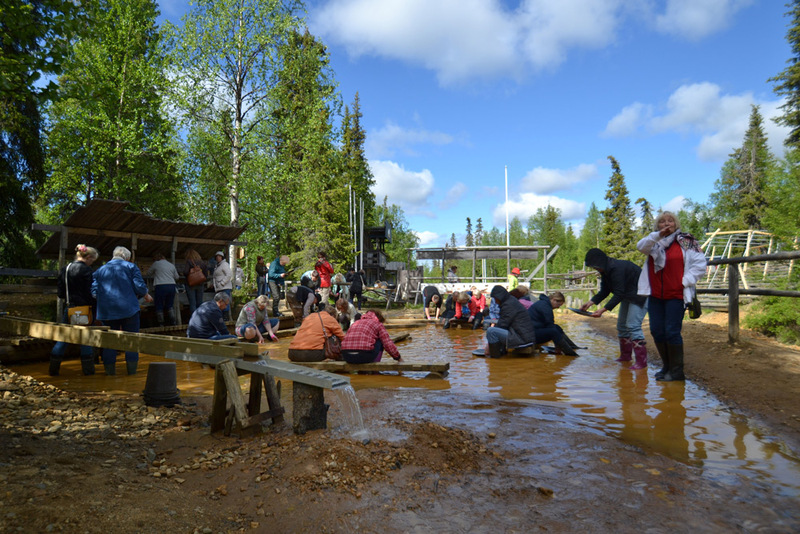 It tells about the first year of reindeer herding and is filmed in Finnish Lapland. During the first year, reindeer grows from small cutie to young adult.